You can create BBQ chicken drumsticks and they came out wonderful. 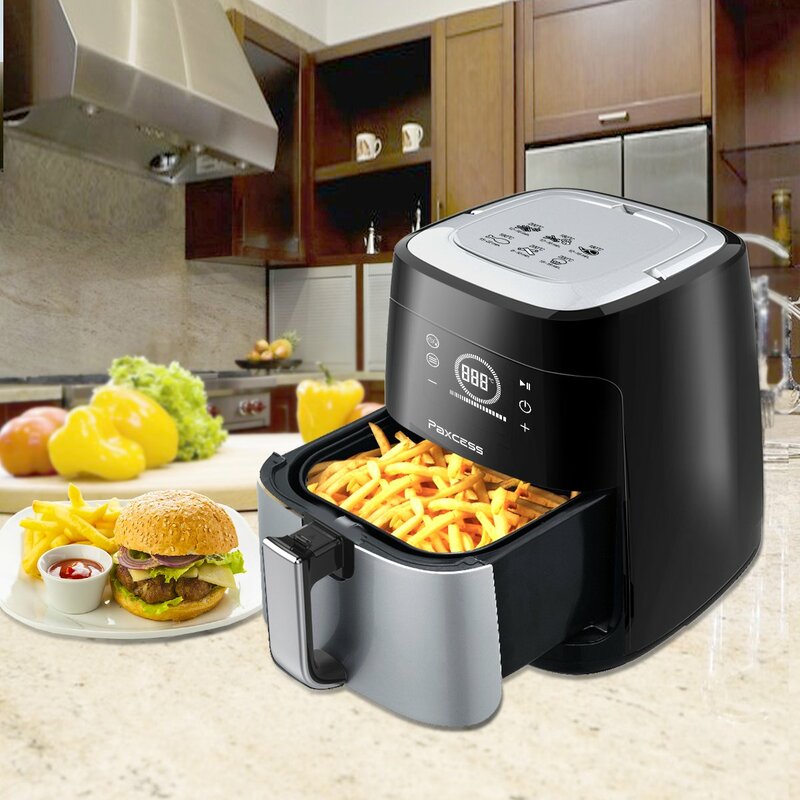 Also cooks hand cut sweet potato fries without burning the ends, crispy on the outside and soft on the inside. 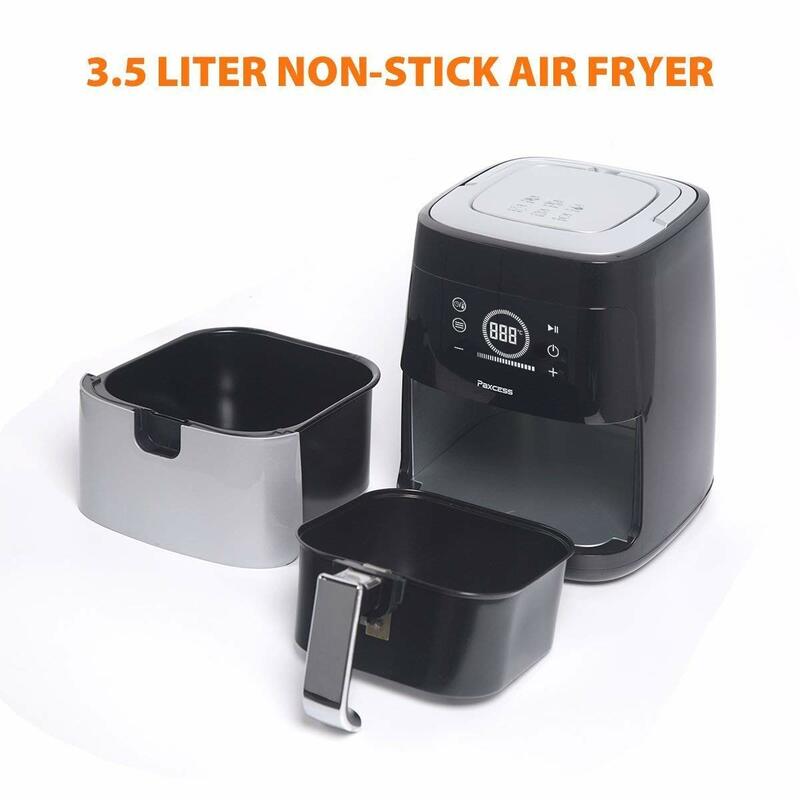 Chicken wings, beer battered fish, hand cut fries, tater-tots all cook fast and very well with this hot digital airy fryer. 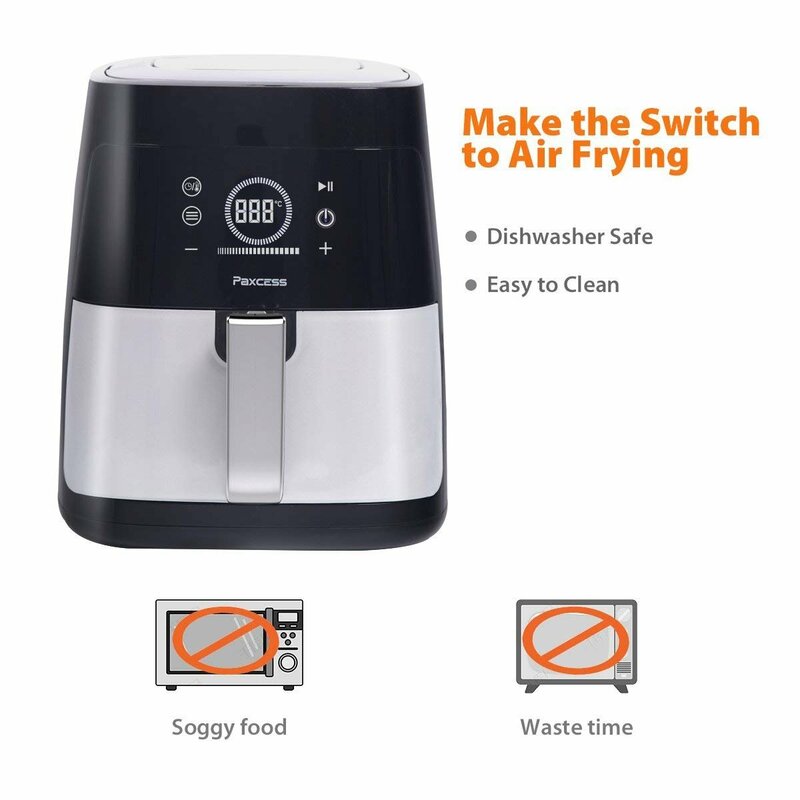 Get a craving for bacon and eggs, but sick of cooking the eggs in a pool of bacon fat, or for that matter, having fat drip from the bacon. 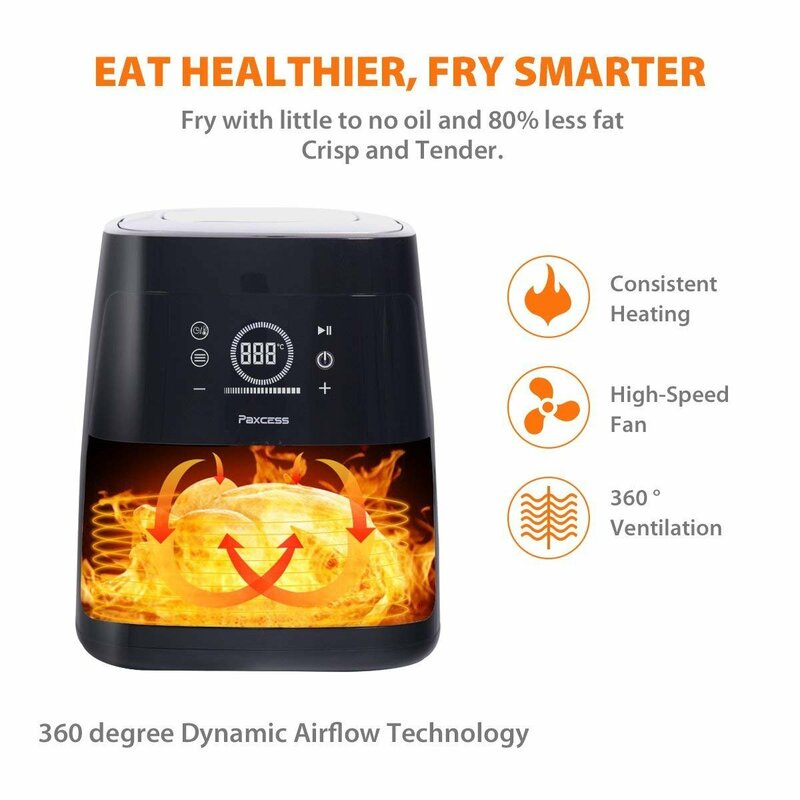 By cooking it in the air fryer oven the fat will drip away, and leave you with a nice crispy bacon that will provide a healthier alternative. 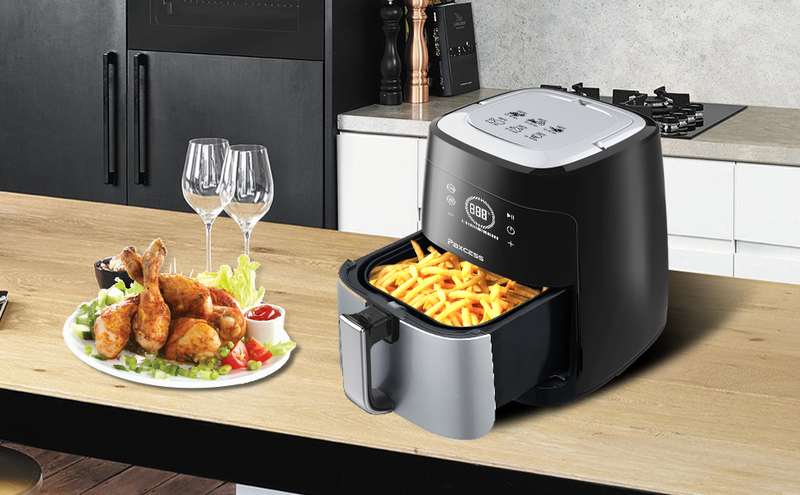 Why not cook your favourite bacon wrapped food in the digital air fryer as well, for a tastier and healthier meal. Also you can line the lower container with foil to make cleanup an ease. 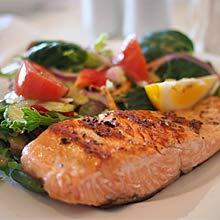 Place salmon on top of the lemon slices. Sprinkle with 1/2 of steak seasoning. Top with pats of butter and remaining steak seasoning. 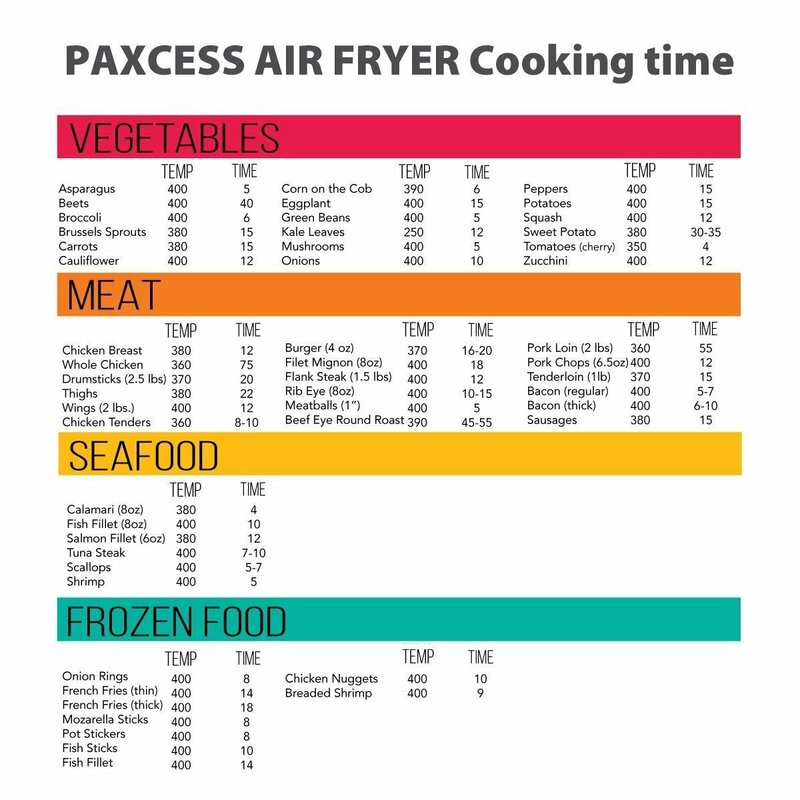 Set the Paxcess aryfryer timer to 12 minutes and fry until they are crispy brown. 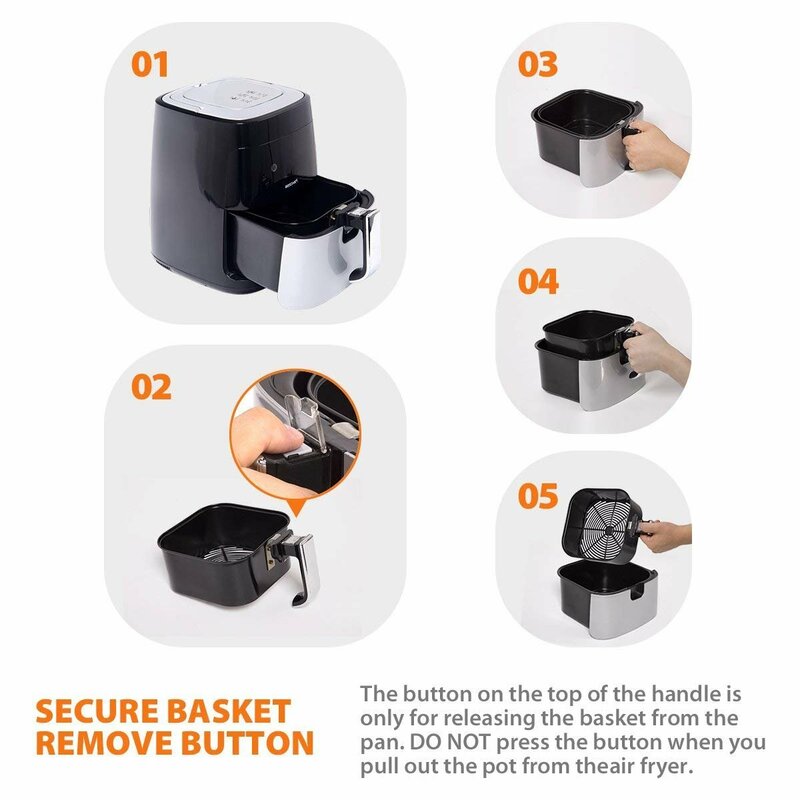 Place the bacon into the basket. If possible, keep the rashers separated. 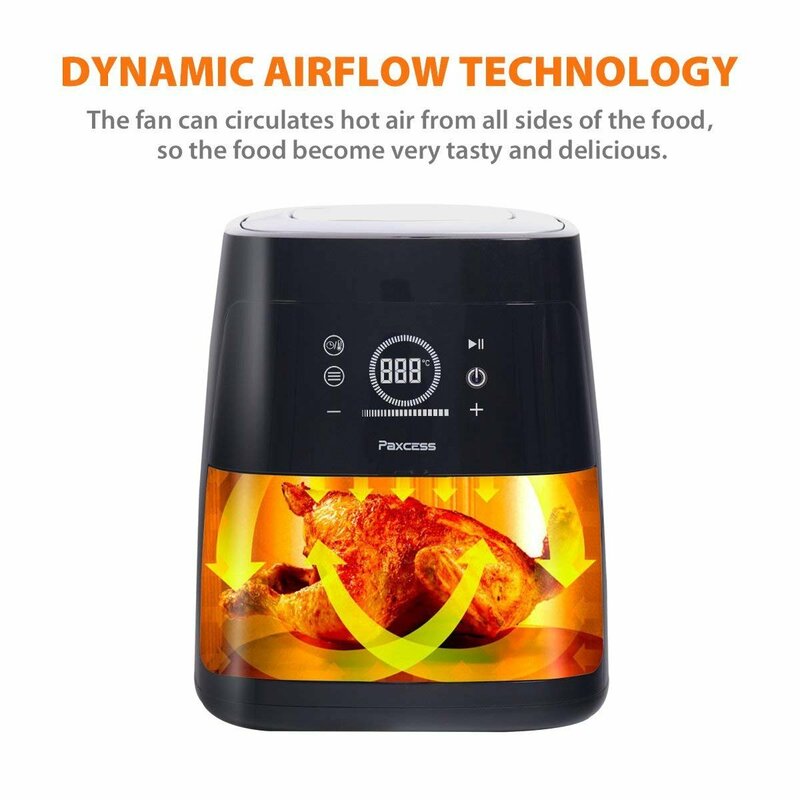 If this is impossible, then shake the basket more often. 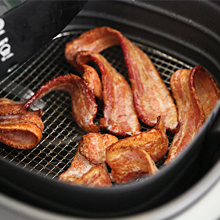 Shaking the basket often will not only help remove the excess fat, but will also allow the bacon to cook evenly if any were overlapping. Pat dry the bacon after cooking with paper towel to remove the last bit of dripping fat. 1 clove garlic, crushed. ½ tablespoon mustard. 2 teaspoons brown sugar. 1 teaspoon chili powder. Freshly ground black pepper. 1 tablespoon olive oil. 4 drumsticks. -Mix the garlic with the mustard, brown sugar, chili powder, a pinch of salt and freshly ground pepper to taste. Mix with the oil. 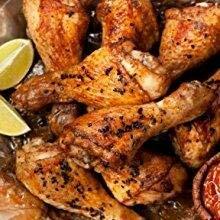 -Rub the drumsticks completely with the marinade and leave to marinate for 20 minutes. 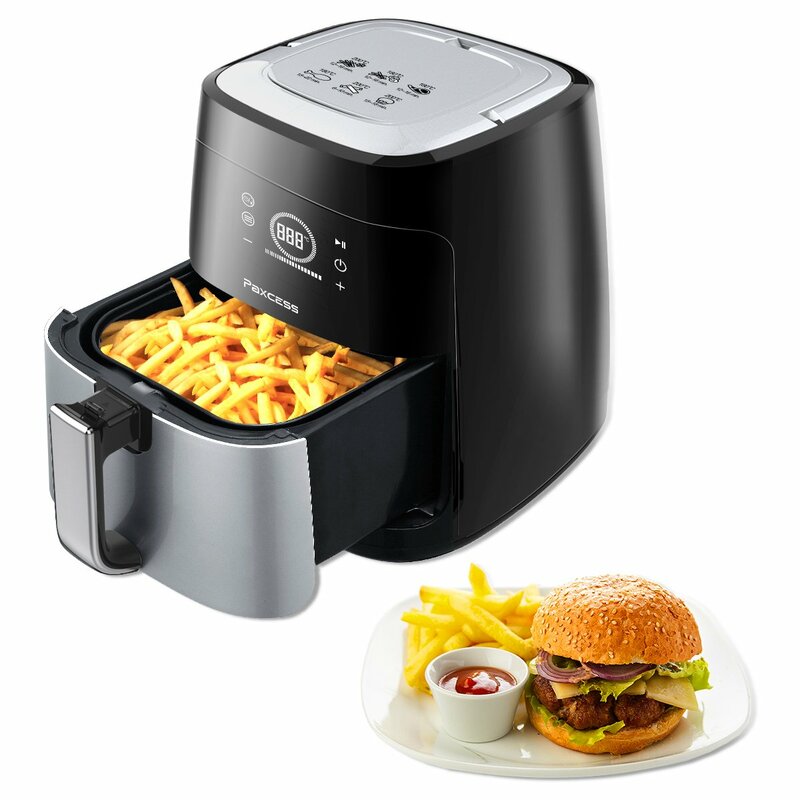 Set the hot air fryer timer to 10 minutes.